Welcome to the Triadex Services Online Portal. To place an order or review your post-campaign analytics, please login. Triadex Services offers a unique alternative to meet your direct mail needs. 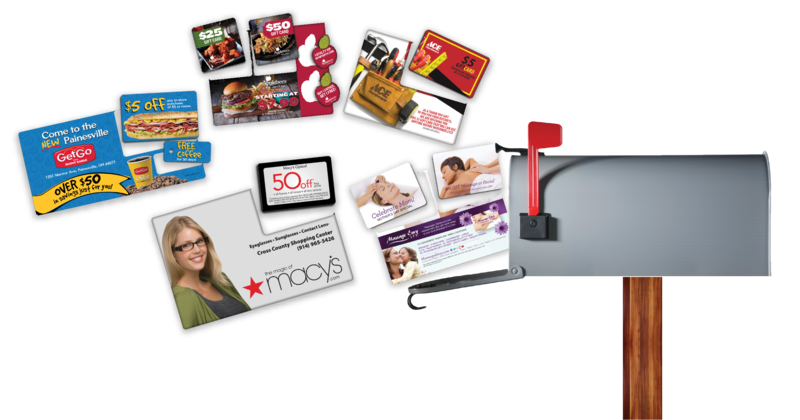 We produce state-of-the-art plastic card mailers that on average generate a much higher redemption rate than paper post cards. By using our plastic card mailers, your business has the potential to see double digit incremental sales increases. The mailer is a powerful new customer acquisition piece as well as a very effective tool to drive a tidal wave of traffic to your business. After your campaign finishes, learn valuable core customer metrics regarding the target audience of your campaign. Triadex Services produces dynamic post campaign reports that will help evaluate future revenue opportunities to maximize sales in your hyper/local areas.